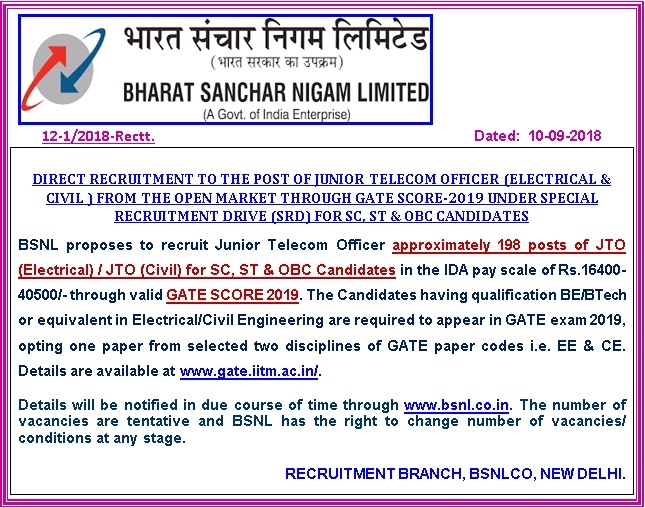 Recruitment of "Graduate Engineer" to the post of Junior Telecom Officer (Civil & Electrical) from the Open Market through GATE Score-2019 under Special Recruitment Drive (SRD) for SC, ST & OBC candidates. Start of online application: Not declare yet. Last date for submission of Online Application: Not declare yet.